Prof. Dan Amiram, who joined the Coller School about two years ago from Columbia Business School, also serves as the head of the Hogeg Blockchain Research Institute and the head of the Fintech specialization in the MBA program at the Coller School, as well as chairman of the United Nations Internal Controls Advisory Committee. 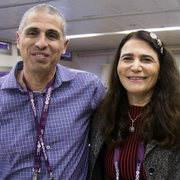 We wish Prof. Amiram great success in his new undertaking and thank outgoing Associate Dean, Prof. Orly Yehezkel, for her years of dedicated and noteworthy service. My name is Dan Amiram, I am 41 years old, live with my wife and three and a half year old son in Beer Sheva. I lived all my life in Beer Sheva, except for the 10 years I spent in the USA, in Manhattan, where I served as associate professor of business administration at Columbia University. What would you most like to achieve as Associate Dean? I am new on the job so everything is still in flux, but I would like to see our students achieve even more than they are achieving now. At the same time, I want to improve the learning environment so that they will enjoy the experience of learning and accumulating knowledge. Personally, I am not enthused by the notion of acquiring a degree just for its own sake. I believe that it is critically important to enjoy one’s studies and to understand that knowledge is what is important and not grades. Otherwise the added value and the knowledge that one manages to obtain from the degree is much more limited and less meaningful. I also want to connect our students with the work environment and to guide them to be leaders in the new areas that it is opening up. I want to say, at this point, that I am following in the footsteps of my predecessor as Associate Dean, Prof. Orly Yehezkel, who did a spectacular job and paved the way to seeing our students as partners for whom the time they spend at the Coller School will be an important and enriching experience. What was your greatest difficulty as a student? I think that the biggest challenge was to balance work with academic success. On the one hand, I had to have a job in order to finance my studies and of course it was important to me to succeed in my studies. Balancing studies, work and personal life is never easy and always challenging. The time one spends at university is a good time to learn how to achieve the right balance. What work did you do when you were a student? In return for a scholarship, I taught math to the children of immigrants from Ethiopia. I also began serving relatively early as an instructor in the Accounting Department (in the middle of my second year). In addition, as a major in the military reserves I put in about 70 days a year of reserve duty. All my sources of income gave me much more than just economic compensation. I had the good fortune of being able to give as well as to receive. If you had to power to introduce one reform in Israel’s academic arena, what would it be? I think I would introduce differential payment to academic faculty to enable us to compete for the best researchers and teachers in the world and to incentivize the existing faculty. Differential pay would enable us to compensate faculty members at identical levels according to their academic achievements, their teaching achievements and the academic area in which they are active. In the USA, our chief competitor for faculty members, they have differential pay. Attracting scholars back to Israel is a serious challenge and the fact that we are limited in the attractions we can offer Israeli scholars living abroad makes it very difficult for us. We have excellent researchers and teachers at the Coller School, but I would be glad if we were able to recruit more. Differential pay would also enable us to recompense those who go above and beyond. From your rich experience abroad – is there one thing for which Israeli academics can envy US academics and vice versa? I think we can aspire to be more like American academia in several areas. The differential pay that I have already talked about is one of them. Also, a large part of the budget in American academia comes from donations of alumni and philanthropists. 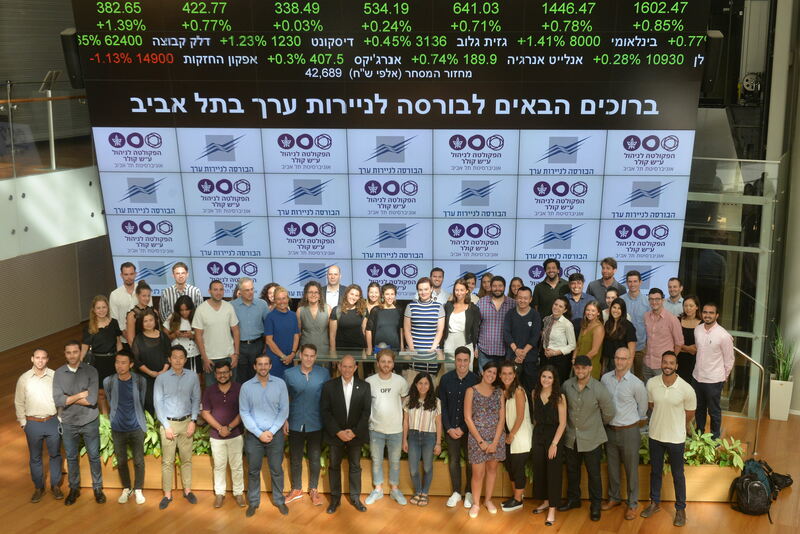 Our alumni are wonderful and we would not have been able to achieve what we have achieved without their huge support, but regrettably the notion of giving back to the community in Israel through academia is not on the level that it is in the USA, though it is more developed than in the past. A final point is that academia in the USA attracts top students from all parts of the world, providing a very special experience for both the students and the faculty members. We have improved in this area but we still have a long way to go. Today, of all the master’s students at the Coller School, about 63% are men and 37% are women. Do you think we should try to change this ratio, and if so, how? I would be glad to see 50% women. We are working to improve the situation. Unfortunately, it is not typical just of our school. I need to work to improve the balance. If you had to choose a different area of activity, what would it be? Archaeology. This is an area that speaks both to my natural curiosity and the interest I have in the past and in history. What in your opinion are the most important values that students can take with them from their studies to their future careers? The university is a great school for life. I truly believe that the university is a microcosm of life. There is something called transferable skills, namely skills that are learned in a particular context and that can also be transformed and applied in another context. Very often, students can acquire these skills through their studies and transmit them to their professional lives. This is true, for instance, for team work, prioritizing different tasks, and leadership. What useful advice do you have for students beginning their Bachelor’s/Master’s studies at the Coller School this year? Try to acquire knowledge and skills that will serve you in your future life, after you have completed your formal studies. Study hard and squeeze every drop of knowledge that you can out of your teachers and fellow students. It is also important for you to enjoy your time with us and look after your health. Engage in sport and make sure you get enough sleep. The time you spend at the university is a good time to acquire healthy lifestyle habits.